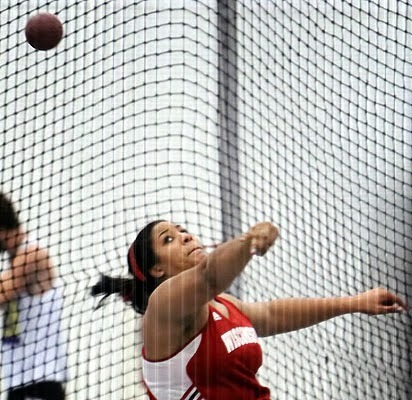 UW Badgers announce Winter opportunities for high school throwers and other Track and Field athletes. If you can, take advantage of working with Coach Dave Astrauskas and his talented group of throwers. UW currently is the #5 Throws program in the country. UW is the home to former MTC throwers: Angela Boushea, Andrew Brekke, and Riley Budde. Our final FALL SESSION is this Sunday, October 27, from 10am-12. There will be an opportunity after our session Sunday from 12-1pm. Coach Megan Rennhack, former UW Badger great and school record holder in the women's Javelin, will be instructing the Javelin Session. Hammer throwers will be with me. Please contact me ASAP to reserve a spot for either of these extra sessions. Space is limited. WINTER THROWING SESSIONS dates will be announced shortly. There will be 4-6 MTC winter sessions held indoors at Madison Memorial High School. sessions will be Saturday afternoons 2-4pm. Stay tuned for dates and registration information.